Roland Emmerich's one substantial hit film from 1996, Independence Day has fostered a sequel 20 years later in Independence Day Resurgence. The first trailer debuted during Fox's NFL coverage and features all the alien-induced destruction of the original times ten. However, the movie that helped launch Will Smith's movie career won't see the star back this time. However, plenty of faces from the original have returned along with some new ones in this huge aliens-attack disaster extravaganza. Jeff Goldblum, Vivica A. Fox, Liam Hemsworth, Jessie Usher, Maika Monroe, Judd Hirsch, Sela Ward, and Charlotte Gainsbourgwill star. Bill Pulman, who contributed one of film's great pep talks as President Thomas J. Whitmore in the original, returns bearded up. If the plot matters, it basically has the aliens returning to battle earth with a huge onslaught, bigger and badder than before. Despite earth nations collaborating to use the alien technology they acquired before to form a massive defense system it may not be enough to fight them off this time. 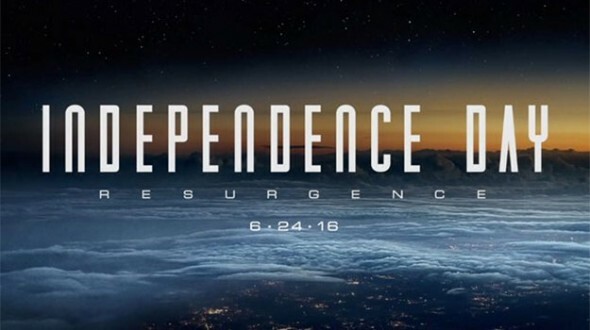 'Independence Day Resurgence' arrives in theaters on June 24, 2016.